Sycamore (Platanus occidentalis) planted 6 May 1975 in Washington Square, Philadelphia, Pennsylvania. 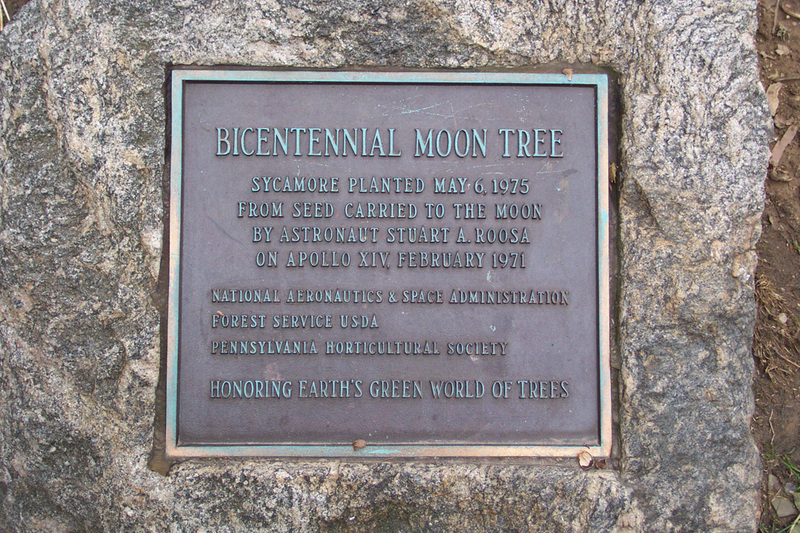 This was the first official Moon Tree planted to celebrate the nation's bicentennial. Sadly, the tree died circa 2008. 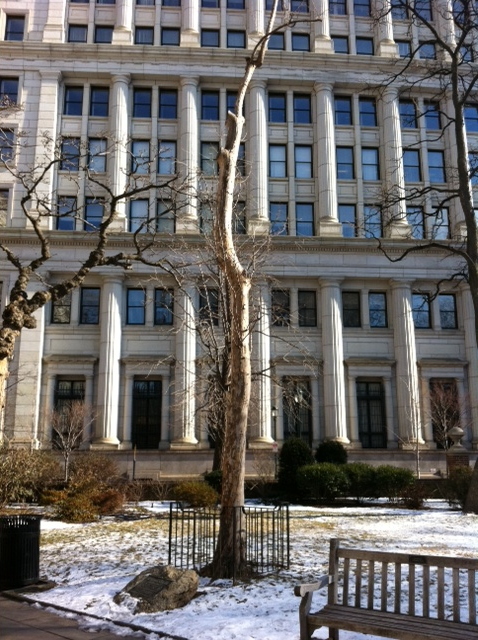 The picture above shows the base of the tree in 2011. Seen above is the Moon Tree when it was healthy, circa 2000. 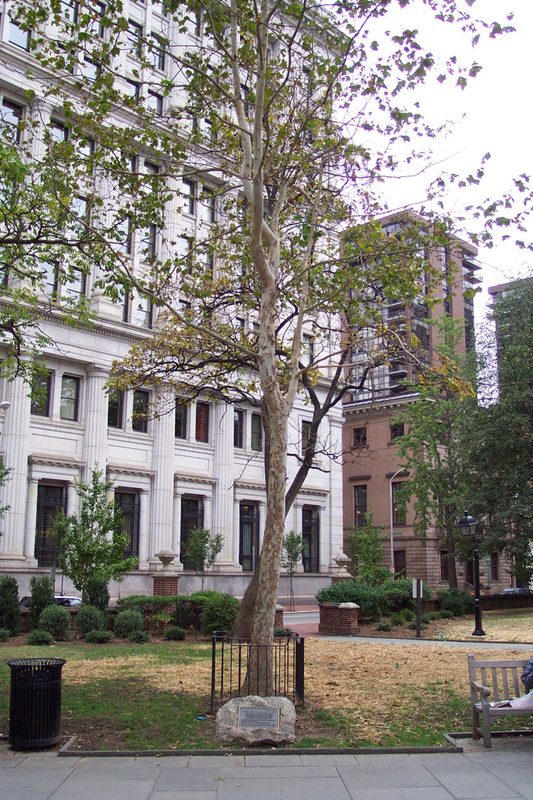 Located at Walnut Street & Independence Mall West. Newspaper clippings of the original planting. 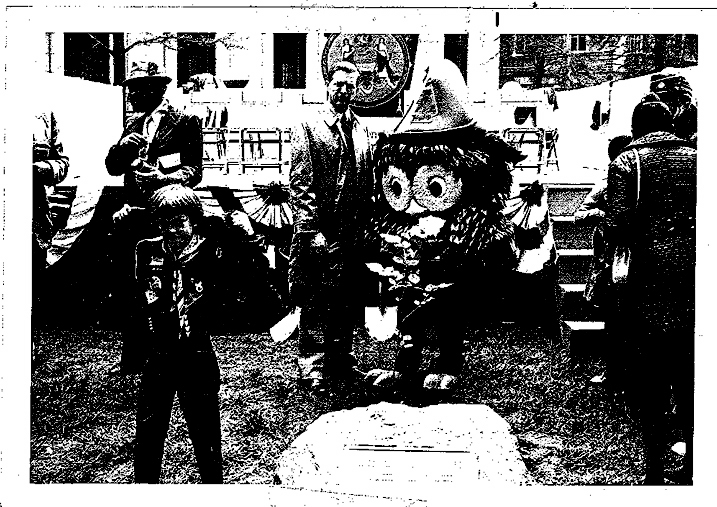 The first image shows Stuart Roosa and Woodsie the Owl at the Moon Tree planting on May 6, 1975. 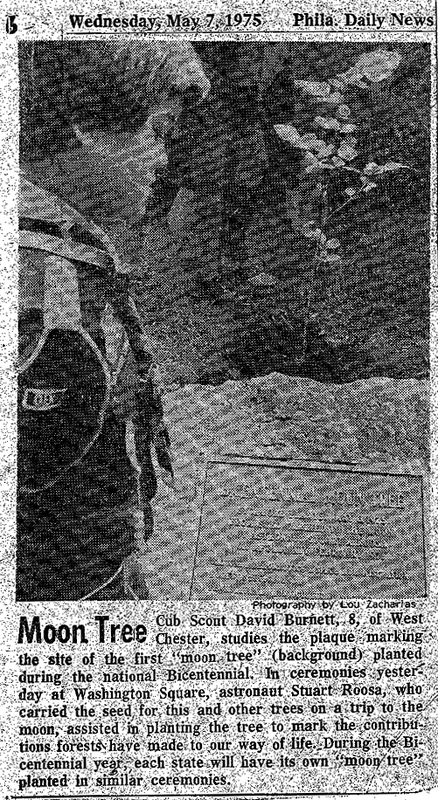 The caption under the second image reads, "Cub Scout David Burnett, 8, of West Chester, studies the plaque marking the site of the first "moon tree" (background) planted during the national Bicentennial. In ceremonies yesterday at Washington Square, astronaut Stuart Roosa, who carried the seed for this and other trees on a trip to the moon, assisted in planting the tree to mark the contributions forests have made to our way of life. 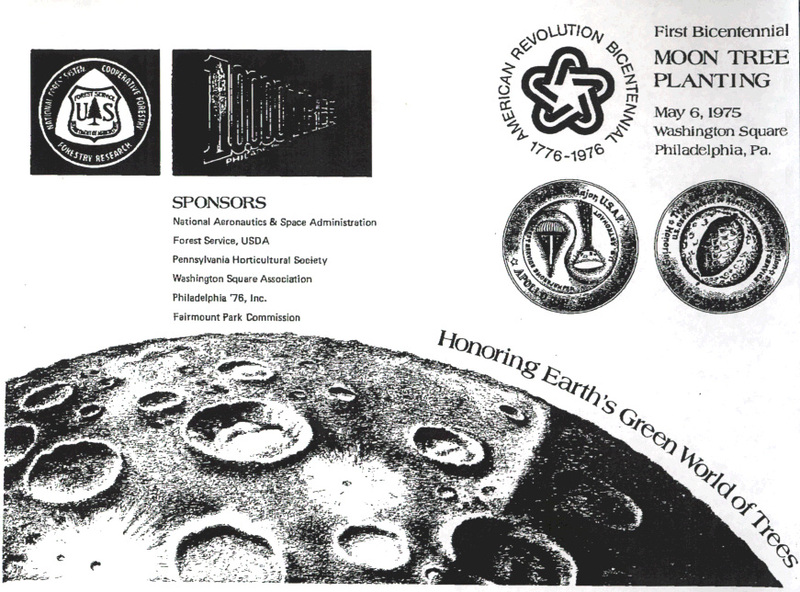 During the Bicentennial year, each state will have its own "moon tree" planted in similar ceremonies."